This post is the sixth in a series of articles by guest authors sharing their experience with courses offered at the Salt Lake Institute of Genealogy. Here is the perspective of Denise Spurlock on the American Research and Records course. After you have researched your ancestor’s life through the census, vital records, and perhaps land and probate files, where do you go next to find information that will help you learn even more? To find out, you should attend the Salt Lake Institute of Genealogy’s track on American Research and Records, coordinated by Paula Stuart Warren, CG. The focus alternates between families and locations. In 2012, the focus was on families. In addition, there were classes on strategies for planning your research, writing your family history, and making the most of online search tools. A highlight of the week was a project in which the participants were divided into teams and given a snippet of a document to get them started on a research project. A primary purpose was to learn how to take clues from what you have and develop a research plan to learn even more. Each team developed a research focus and plan and reported their findings at the end of the week. It was a fun opportunity to get to know, and work with, other participants in the course. An added benefit was being able to research in records in a state with which I had limited experience. There was ample time during the week to use the Family History Library to work on my personal research and on the research project. Being able to take what I learned in the morning and put it to use in the afternoon and evening helped me to internalize the concepts and ideas right away. Private consultations were also scheduled in which you could discuss a personal research question with Paula or another one of the instructors. Since Paula is from Minnesota, I was able to get advice from her on a research question I have with an ancestor who lived there. In 2013, the track will focus on locations. I am confident the course will be equally helpful in learning about how to find and use resources based on the location in which your ancestors lived. This post is the fifth in a series of posts by guest authors sharing their experience with courses offered at the Salt Lake Institute of Genealogy. Here is the experience of Barbara Ball. The Advanced Practicum Course of 2012 was a challenging and inspiring learning experience. I found that I spent all my time working to solve the puzzles, and had little time for lunchtime or evening courses. The instructors were interesting, well informed, and each presented us with a different kind of challenge to our research and analytical skills. All of the information needed to solve the cases was available digitally, and I found that I never once set foot in the Library during this trip. Too bad for me! If your primary joy in genealogy comes from the successful analysis of data and solving of puzzles, this is the course for you. Though we spent little time in the classroom, the time we did spend was fascinating. It was very helpful to hear how fellow students approached the same problem in many different ways. (We were not allowed to work together or discuss a case until it was finished.) I cannot recommend it highly enough, and plan to take it again. I received the following press release from the National Genealogical Society regarding their 2013 Family History Conference. I have always enjoyed the NGS national conferences as a means to further my education and network with friends, and look forward to this one as well. Arlington, VA, 23 May 2012 . 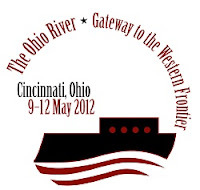 The National Genealogical Society (NGS) announced at their Family History Conference in Cincinnati last week that the 2013 NGS Family History Conference, Building New Bridges, will be held in Las Vegas, Nevada, from 8–11 May 2013. The conference hotel and venue will be the LVH−Las Vegas Hotel & Casino (formerly known as the Las Vegas Hilton). The hotel and conference center are under one roof offering excellent convenience for attendees. To ensure a reservation, attendees may reserve their accommodations now and must request the NGS conference rate when making a reservation. The LVH will accept reservations beginning 14 May 2012 via telephone 1-800-635-7711 or online at http://www.ngsgenealogy.org/cs/accommodations. The LVH−Las Vegas Hotel & Casino is a cultural icon. In 1969 Barbra Streisand was the opening performer. The property was known as the International, and it was the world’s largest hotel. Elvis Presley quickly became the star performer. After the Hilton chain purchased the International in 1970, the building became the Las Vegas Hilton and starred as the Whyte House in the 1971 James Bond film, “Diamonds Are Forever.” Elvis lived in the hotel’s penthouse while headlining until his last concert in December 1976. In January 2012 the property became the LVH−Las Vegas Hotel & Casino. The LVH is ten minutes from McCarran International Airport and convenient to I-15 and I-515. The Las Vegas Monorail begins at the LVH and carries passengers to six major Strip resorts. The conference theme for 2013 is Building New Bridges. The Mike O’Callaghan−Pat Tillman Memorial Bridge, dedicated in 2010, spans the Colorado River on Native American land, connects the Las Vegas Valley to Route 66, and embodies the West as a timeless “bridge” where cultures, nations, and technologies connect. The bridge visually frames nearby Hoover Dam, which in 1935 opened the Southwest to urban and agricultural growth by harnessing the water and power of the Colorado River. In celebration of the 2013 theme, the four-day conference will offer more than 150 lectures on researching peoples and places of the West, migration to and from the West, law, military records, immigration, methodology, academic history, family history writing, BCG Skillbuilding, African American and other ethnic research, technological innovation in genealogy (GenTech), and more. In addition, Las Vegas and Clark County are home to several museums and repositories that highlight the history and culture of the area. Manuscript collections reflect the histories of immigrant, Eastern, and Midwestern families that migrated to and through the city in the twentieth century. 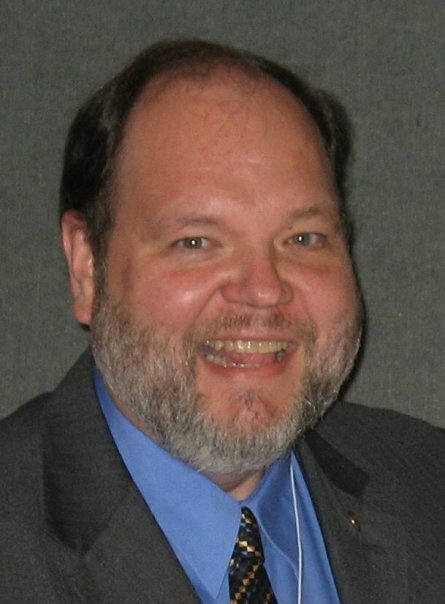 This is the second in a series of posts by guest authors on the courses at the Salt Lake Institute of Genealogy. This one is by Susan Michaels, CG on the Advanced Genealogical Methods course. If you are interested in taking this course in January of 2013 registration will open on June 2nd and it will probably fill in the first day as it is a very popular course. The primary instructor and course coordinator was Thomas W. Jones, Ph.D., CG, CGL, FAGS, FUGA, FNGS. The guest instructors were Claire Bettag, CG, CGL and Rick Sayre, CG. I have always enjoyed Tom’s conference lectures, so I chose this course for my first experience attending SLIG. He was an excellent teacher. It was a completely different environment from his lectures. It was very much an instructional versus lecture atmosphere. The syllabus was very complete. I took very few notes mostly to highlight extremely points or the references that he recommended. The syllabus has been a great reference to refer to after returning home from the institute. It was practically worth the price of admission alone. The course material was densely packed. The first two days were spent mostly on the first two modules: “Developing an Evidence Orientation” and “Developing Research Questions and Hypotheses; Planning an Exhaustive Search.” Tom spends a lot of time on these building block fundamental topics. By the end of Tuesday it appears that there is no way that everything in the syllabus can possibly be covered by the end of Friday; however, by the end of Thursday he has caught up with the printed schedule. After thoroughly covering the foundations of developing an evidence orientation to reconstruct relationships and identities, the rest of the modules demonstrate using these techniques with various major record types including census, probate, tax lists, and local land records. He also discusses three “special problems” including: “Identifying Landless, Enslaved, Peasant, and Other Impoverished Ancestors,” “Finding Immigrant and Migrant Origins,” and “Identifying Female Ancestors.” He finishes the week explaining how to resolve conflicting evidence and solve genealogical problems by correlating sources, information, and evidence. He uses real-life examples from his personal and client research to demonstrate the techniques. As a class and in small groups, the students use the evidence provided on slides and in the workbooks in the syllabus to resolve these real-life problems themselves. I always learn best what I have to figure out for myself, so this was a terrific process to me. Claire Bettag taught three modules covering how to research U.S. government records: “Archival Research,” “Federal Research: Government Documents,” and “Federal Land Records: Analysis, Interpretation, and Correlation.” She knew her topics inside out and was a very engaging and informative instructor. The first homework assignment was assigned by Claire on government documents. I learned a lot from this assignment and from all of Claire’s lectures. Rick Sayre was the instructor for “Military and Pension Records Strategies: Analysis, Interpretation, and Correlation” and “Rural and Urban Map Strategies: Analysis, Interpretation, and Correlation.” I have listened to Rick discuss maps before and no one knows/loves maps as much as he does and he loves to encourage others to use more maps in their research. I was unaware of his interest in military records but I learned a lot from him on using military/pension records to further my research. I had a terrific experience in this course and I would highly recommend it to every researcher who aspires to performing at a professional level and for breaking down those brick walls that all of us have developed. This is definitely not a beginner course. There is optional homework but not of an onerous nature. For those who may have already taken “Course 4: Advanced Methodology and Evidence Analysis” instructed by Elizabeth Shown Mills, CG, CGL at IGHR, I recommend that you take this course at SLIG also. Tom and Elizabeth cover a similar topic from very different directions and teaching styles. The two courses are more complimentary than redundant. Since I had already taken Course 4 at IGHR, I was not sure about how much more I would learn from SLIG’s Course 9; but I am REALLY glad that I took both courses. This was my first attendance at SLIG, but it definitely will not be my last. I am already anxiously waiting for June 2nd so I can register for SLIG 2013. I hope I see you there. CG or Certified Genealogist is a service mark of the Board for Certification of Genealogists, used under license by Board-certified genealogists after periodic evaluation, and the board name is registered in the US Patent & Trademark Office. 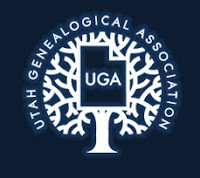 I am very excited for the Advanced Evidence Analysis Practicum course at the Salt Lake Institute of Genealogy (SLIG). 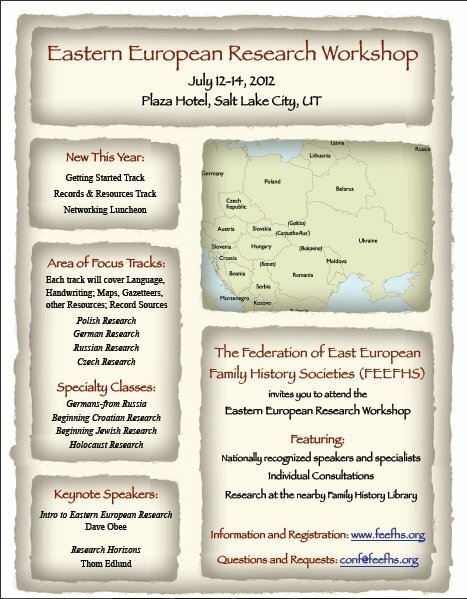 This is a different type of course where the focus is hands-on experience solving genealogical problems. The students are given a new case to work through each day rather sitting listening to lectures. It is designed for advanced genealogists who want additional experience analyzing evidence and working on complex cases. See my previous post on the 2012 course here. I am co-coordinating the Practicum course with Kimberly Powell, and Thomas W. Jones serves as advisor to the course. We have selected five excellent instructors to prepare genealogical problems for the Practicum to be held in January of 2013. These cases will cover a variety of geographic locations and time periods. They will provide experience working with different methodologies as the students research and then analyze and correlate evidence to solve the cases. 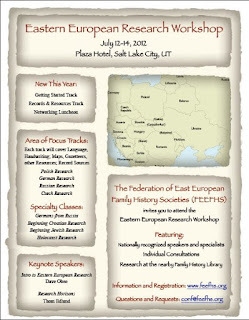 Registration for the Salt Lake Institute of Genealogy opens on June 2nd and there are eleven courses to choose from. Descriptions of each of the courses can be found on the SLIG website. The Institute will be held January 14-18, 2013 at the Radission Hotel in downtown Salt Lake City, Utah just two blocks from the Family History Library. 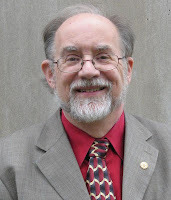 Thomas W. Jones, Ph.D., CG, CGL, FASG, FUGA, FNGS, has co-edited the National Genealogical Society Quarterly since 2002. He lectures frequently in national and local venues, where he is known for information-packed lectures benefitting genealogists at all skill levels. 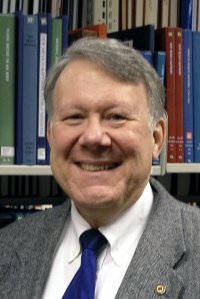 Many of his articles, lectures, and classes address genealogical research methods, proof, and problem solving. Tom teaches “Evidence Evaluation and Documentation” in Boston University’s Genealogical Certificate Program, he coordinates and teaches “Writing and Publishing for Genealogists” at Samford University’s Institute on Genealogy and Historical Research, and he teaches and coordinates advanced methodology courses at the Genealogical Research Institute of Pittsburgh and the Salt Lake Institute of Genealogy. 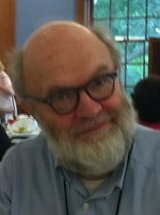 He is a professor emeritus at Gallaudet University in Washington, D.C., where he taught for twenty-seven years, and he is a trustee and a past president of the Board for Certification of Genealogists. He enjoys solving “brick wall” genealogical problems. 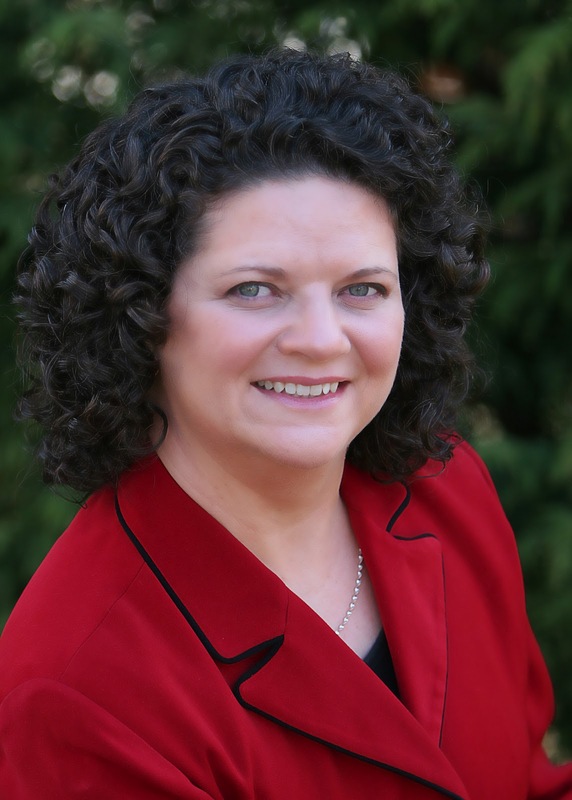 Stefani Evans, CG, was certified by the Board for Certification of Genealogists (BCG) in 2005 and currently serves as a trustee for the BCG and the BCG Education Fund. 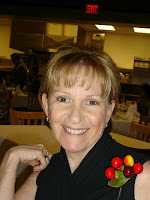 As a current director for the National Genealogical Society (NGS), she is conference chair for the NGS 2013 Family History Conference in Las Vegas, 8-11 May 2013. 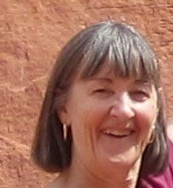 A former elementary school teacher, Stefani is also a Ph.D. student in the History of the U.S. West at the University of Nevada, Las Vegas (UNLV) and has presented lectures at the NGS 2012 Family History Conference, the Whitsett Graduate Seminar in California History, and at conferences of the Urban History Association, Phi Alpha Theta History Honor Society, and the Nevada Historical Society. She has authored articles in the BCG quarterly newsletter, OnBoard; the National Genealogical Society Quarterly; the New York Genealogical and Biographical Society Record; the journal of the UNLV chapter of Phi Alpha Theta, Psi Sigma Siren; and the Utah Genealogical Association’s Crossroads. She lives in Las Vegas, Nevada. appearing on a recent episode featuring Lionel Richie. Jr. Prize and received a Certificate of Appreciation from the Association of Professional Genealogists. books including The Everything Guide to Online Genealogy, 2nd edition (Adams Media, 2011), as well as articles for popular genealogy magazines such as BBC’s Who Do You Think You Are? magazine. 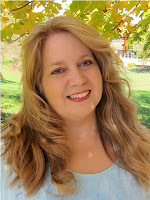 Kimberly is the Vice President of the Association of Professional Genealogists, where she also serves as chair of the Professional Development Committee, and Assistant Director for the Salt Lake Institute of Genealogy. She was a 2010 recipient of IGHR's Walter Lee Sheppard Jr. Prize. She currently volunteers with FamilySearch Indexing, as coordinator for ProGen 12, and as webmaster for the Western Pennsylvania Genealogical Society. 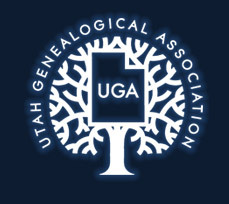 The Salt Lake Institute of Genealogy has some great courses lined up for 2013. The Institute will be held January 14-18, 2013 at the Downtown Salt Lake City Radisson Hotel. The location is two blocks from the Family History Library, so it is very convenient to research at the library in the same trip to Salt Lake City. Registration opens on June 2nd at 9:00am Mountain Time and some of the courses will fill quickly. The American Society of Genealogists gives an annual $500 scholarship that can be applied to any of three genealogy institutes: (1.) the National Institute of Genealogical Research at the National Archives in Washington, D.C.; (2.) the Institute of Genealogy and Historical research at Samford University in Birmingham, Alabama; and (3.) the Certificate Program in Genealogical Research at Boston University. For details, see the ASG website at www.fasg.org. This is the first time that many of the ProGen alumni will be speaking at a national conference and I would like to encourage my blog readers to support them. (Disclaimer: I am one of those speaking).